Playing with form is addictive. Each time you set off to master a new form it’s nearly like creating a new character. When I started writing my epistolary novel, Saint Mazie, I thought to myself: I have no idea what I’m doing here. But by the time I had finished writing it, I didn’t want it to end. Initially the book was only to be a fictional memoir. I had read a newspaper interview with the real life inspiration, Mazie Phillips, about her retirement from her job as the proprietress of a movie theater on the Bowery in 1940s New York. In that interview, she said she was planning on writing her life story. Now either that book never got written, or if it did get written, it never got published. I was so charmed by this woman, the way she lived her life, boozing it up but also helping all the homeless of New York, that I wished desperately I could read her memoirs. I wanted to ask other people about her, but she had passed away fifty years before and I was never able to track anyone down who knew her. As it stood, I had a limited amount of information about her, just a handful of articles. So I decided to write those memoirs myself. I worked on it for nine months. But the memoir form wasn’t satisfying me. It didn’t feel fresh and up close. I am always challenging myself to maintain a sense of immediacy in my work. And I began to feel as if I couldn’t tell her entire story just from her own mouth. It didn’t feel as authentic as I liked, because there were certain things she would never say about herself, things I needed other people to tell me about her. Then I had one of those tossing-and-turning-late-at-night moments. I wrote down, “Sister, neighbor, lover.” Those were three people I’d want to talk to about Mazie. They’d know what she was like as a child, and what she looked like from afar when she was walking down the street, and what she’d be like in her most intimate moments. Then I wondered: Why don’t I just invent them? If I’m inventing her, I can invent everyone. So I read some wonderful epistolary novels, like Maria Semple’s Where’d You Go Bernadette?, and also Studs Terkel’s Working, for inspiration on oral history and how people talk while being interviewed. Then I cut the memoir up, changed parts of it into a diary, and started to “interview” those who knew Mazie. And once that happened, the story opened up in a whole new way. I could have kept going forever. I could have written fake newspaper articles about her, I could have had a character dedicate a poem to her, or a song. Love letters left behind. There were so many ways I could have told her story, and even as I type this it is tempting not to write her a note to pass in class, one friend to another. But I think I told the story the best way I could, with all the forms necessary. Thank you very much to Jami for this wonderful look at the process that resulted in Saint Mazie. I invited Jami to talk about her use of fictionalized diaries and interviews in this novel because it proved such an effective and intuitive way to tell the story of this ordinary but extraordinary woman. There is such mastery of material and character here and all of the characters – not just Mazie Phillips – feel fleshed-out, alive and real. The different voices and perspectives contribute to the sense of witnessing Mazie in the community she served and the troubled times in which she acted as a kind of guardian angel to the needy and dispossessed. I felt New York spring up around me as I was reading this novel. It has tremendous heart and compassion, plenty of humour but my enduring impression is one of searing poignancy – I was particularly moved by Mazie’s friendship with nun Sister Tee and her complex romance with the ‘Captain’ but there are heartbreaking encounters throughout. It’s rare for me to love a character the way I loved Mazie and even rarer to say that a book made me question what I’m doing with my own life (seriously). Now I can’t wait to read The Middlesteins. For another great take on fictionalising a historical figure (and a New York setting! 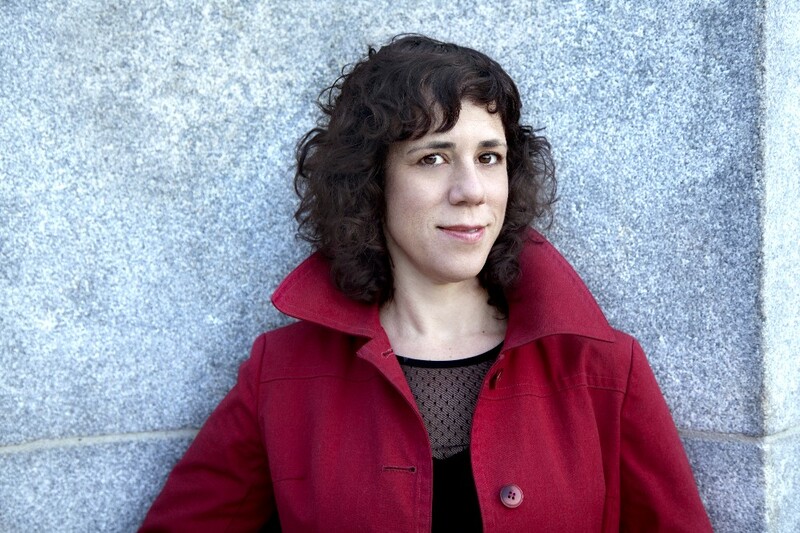 ), see Mary Beth Keane’s guest post about her novel Fever. Really enjoyed getting this insider perspective on the writing process Isabel. The memoir approach she planned initially would have got rather restrictive the more she progressed because you have to include so much ‘back story’ info to help the reader make sense of it, yet the writer of the memoir knew this already since its her story. Very good point. The way Jami did it brings so many layers into the story, so (apparently) effortlessly! Fantastic post. 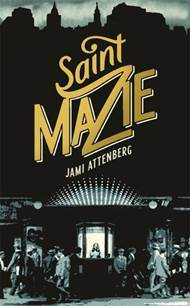 I loved The Middlesteins and am looking forward to reading Saint Mazie, especially now I know it’s an epistolary novel – that was the form of my 3rd novel The Ark so I’m always interested to see other contemporary takes on it. I also love the story behind how this book got written – Attenberg was curious about someone, and couldn’t know more about them so just made it up for herself!